Hello there again folks, long time no post. 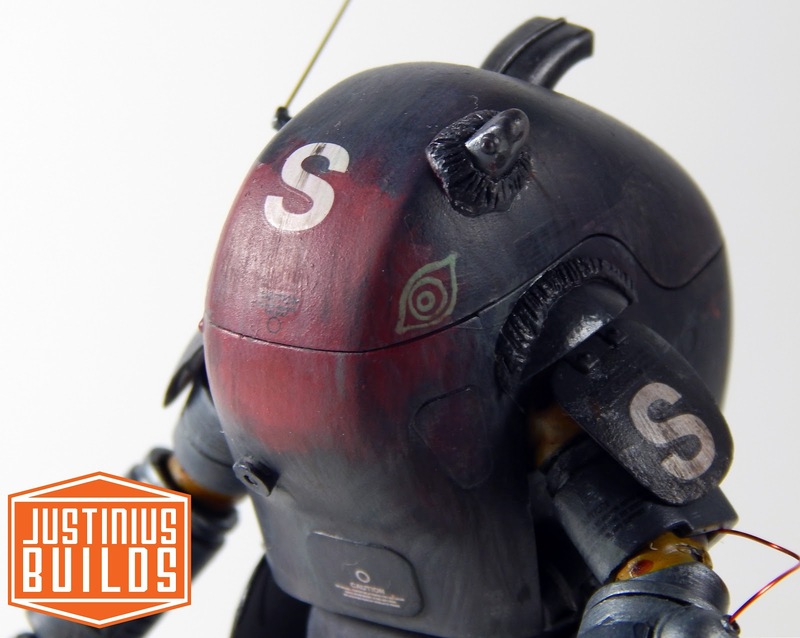 this time we have a new build as a group build for Team Helios with the theme of : Grunts. so I actually did 3 kits for this build, and this one will be the first of them posted. if you haven't built a wave Ma. K kit yet, I highly recommend them if you can get your hands on them. engineering wise they're a bit dated compared to some newer offerings by other manufacturers. but they are fantastic model kits none the less. the entire model snapped together without any issue, minor flash on a couple of parts, and even came with some parts to make another variant of this model. only one part needed glue to stay in place, although i recommend gluing all of the smaller bits on. the rubber joints aren't the greatest and could benefit from resculpting or being cast in a different material, but took paint surprisingly well. anyway, the entire kit was snapped, inspected, seam sealed, primed and painted using vallejo acrylics by hand. weathering was done post painting and decaling, and topcoat was applied via spray can. the model was then mounted to a block of wood sprayed with adhesive and covered in diorama grass.